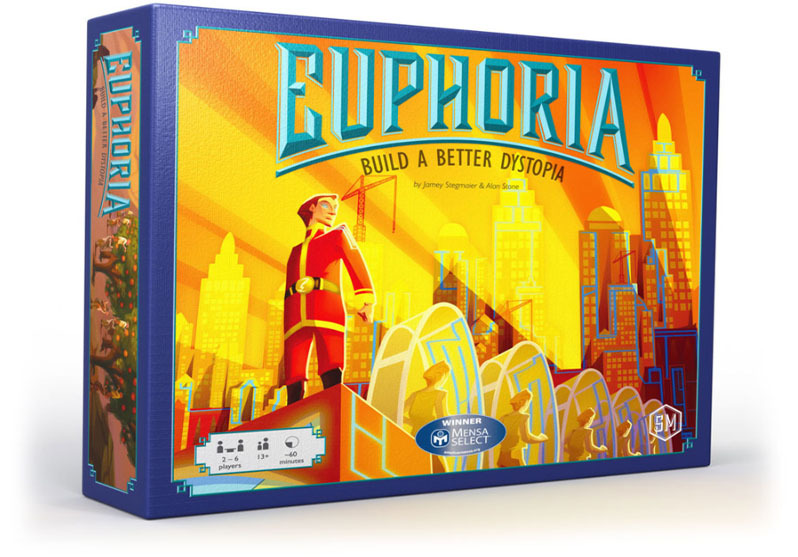 Euphoria is a worker placement board game. 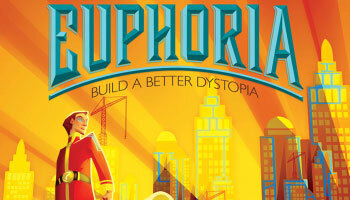 You Lead a team of workers (6 sided dice) and recruits (cards) in order to get control over the dystopian world. The workers will gather, harvest and build to increase your influence among the four factions. But watch out when your workers become too intelligent and get aware of their horrible lives because then they will leave you. It's important to keep your workers happy and stupid at the same time. You also have two recruits at your disposal but one has yet to be convinced by reaching certain milestones in the game or by letting other players unwittingly reach those milestones for you. The board is occupied by 4 different factions: the Euphorians (the elite), the Subterrans (workers), the Wastelanders (farmers and historians) and the Icarites (traders), and each of them is waiting for you to rewrite history. Are you willing to sacrifice enough to make the future better than the past? To win the game, you will need get area control (by land grabbing), you need also to construct markets and gathering rare artifacts. 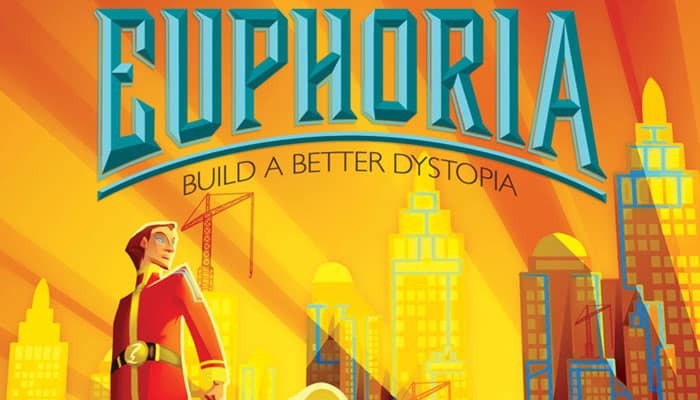 The dystopian elite are willing to give you tracts of land in exchange for them.